Rural and developed. Residential and commercial. Family friendly and surprisingly happening. Affluent Greenwood Village is a little bit of everything good about the suburbs. Located just south of Cherry Hills Village, it feels more understated and less ostentatious than its posh neighbor. More than 100 neighborhoods offer a range of lifestyles – from rambling country estates with horses to patio homes, highrises and affordable townhomes. When first settled in 1860, its landscape was dotted with farms and orchards. Through the years, businesses have taken root (the Tech Center is home to many) and increased tax dollars flowing into the community. But coyotes still manage to coexist with residents and parts of the Village feel refreshingly rural. Public schools are among the best in the area (Cherry Creek and Littleton school districts). 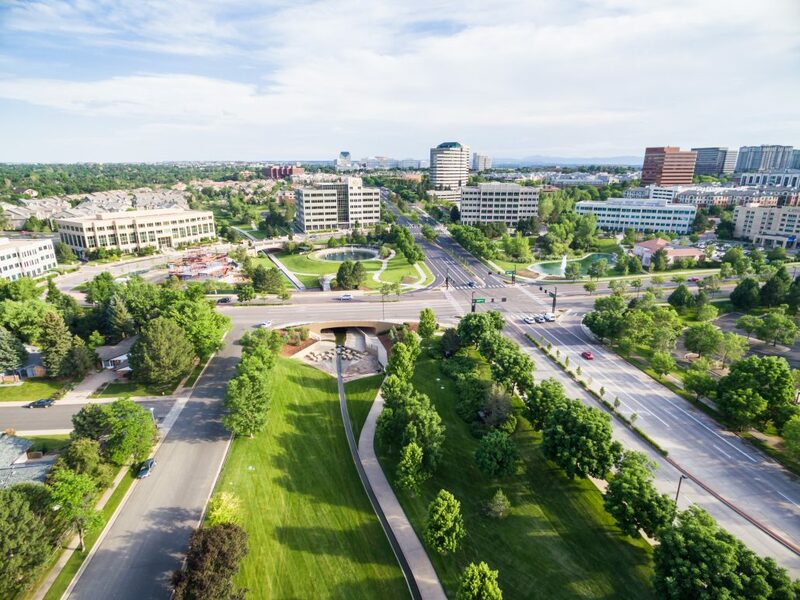 40 miles of biking, walking and equestrian trails wind throughout and connect to the Highline and Cherry Creek trail systems. The newly completed T-REX highway upgrade makes driving on 1-25 and riding light rail a breeze. Residents also enjoy easy access to shopping at a handful of hubs, including the shops at Orchard and the new and fabulous Village Shops at Landmark. Boundaries: Belleview to Orchard – Clarkson to Dayton with a few additional areas off the map.